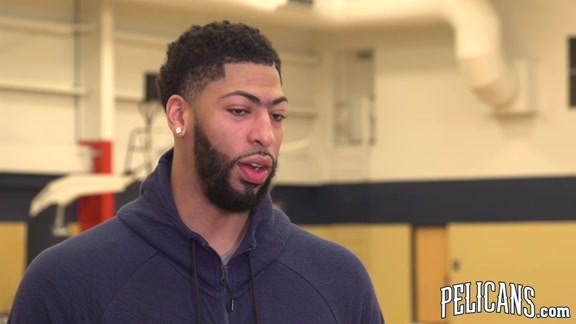 NEW ORLEANS – The New Orleans Pelicans today announced that at 12:01 p.m. local time in Hong Kong, China, All-Star forward Anthony Davis signed a contract extension with the club. Per team policy, terms of the deal were not disclosed. “Words cannot describe the excitement of the New Orleans Pelicans to have Anthony Davis as the cornerstone of our organization,” said Pelicans General Manager Dell Demps. 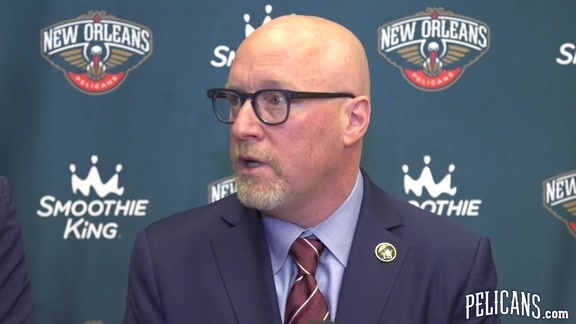 “Anthony is a great person, a phenomenal player and the ideal representative of his family, the Pelicans and the New Orleans community. Davis has appeared in 199 games over his first three seasons in the NBA, all with New Orleans, posting career averages of 19.7 points while shooting .525 from the field, 9.5 rebounds, 1.3 steals and 2.5 blocks per game. The 6-10 forward currently ranks fifth in New Orleans franchise history in defensive rebounds (1,346) total rebounds (1,891) and steals (264), third in points (3,917), points per game and field goal percentage, second in rebounding average (9.5) and first in blocks (501). Originally selected by New Orleans with the first overall pick in the 2012 NBA Draft out of Kentucky, Davis earned All-Rookie First Team honors after appearing in 64 games and averaging 13.5 points on .516 shooting from the floor, 8.1 rebounds and 1.8 blocks. In 2013-14, the Chicago native appeared in 67 games, averaging 20.8 points, 10.0 rebounds and a league-best 2.8 blocks per game while being named to his first All-Star Game. This past season, 2014-15, Davis, 22, averaged a career-best 24.4 points on .535 shooting from the floor, 10.2 rebounds and 2.9 blocks per game, ranking fourth, seventh, eighth, and first in the NBA in those respective statistical categories. Davis was selected to his second All-Star game, his first as a starter, while earning All-Defensive Second Team and All-NBA First Team honors, and helping New Orleans make their first playoff appearance since 2011. In four post-season games against the Golden State Warriors, Davis averaged 31.5 points on .540 shooting from the floor, 10.8 rebounds and 3.0 blocks, becoming the first player in 41 years to average at least 30 points and 10 rebounds through their first four career playoff games.